On Saturday after the Memorial Day ceremony held at the JACCC-adjacent Japanese American National War Memorial Court, I was among the group that attended the staged reading of a pilot script for a potential new TV drama series titled “Nisei,” which was held at the Japanese American National Museum’s Tateuchi Democracy Forum in Little Tokyo. One thing that needs to be mentioned up front is that the actors were hired only for this staged reading, so should this pilot actually get greenlighted to become a series, there’s no guarantee any of them would be cast. “Nisei” is a period-piece murder-mystery set in San Francisco just after the end of World War II, when West Coast Japanese Americans (mainly Nisei) and legal permanent resident alien Japanese nationals (mainly Issei) who were forced from their homes by the federal government and Executive Order 9066, then incarcerated in the War Relocation Authority’s concentration camps, began returning to an uncertain future in potentially hostile (and sometimes just outright hostile) circumstances. 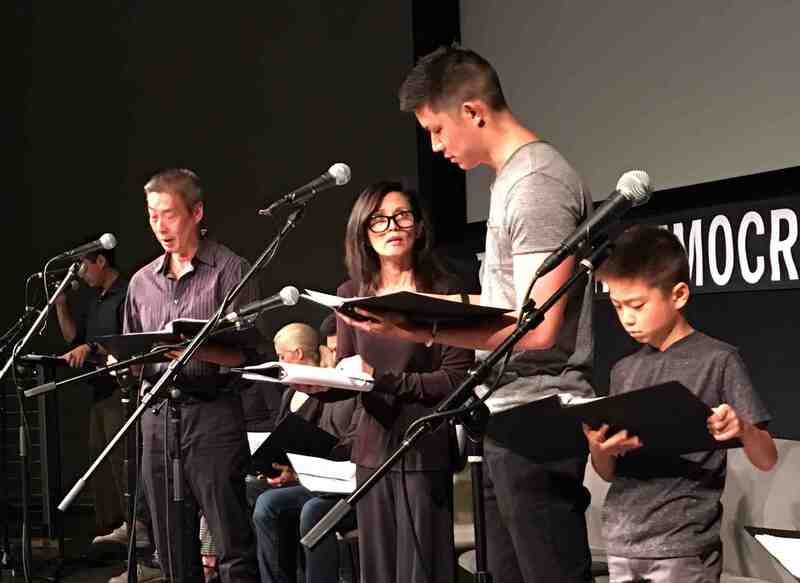 I was looking at the description on the Discover Nikkei website, and some of it appears to have changed from the cast and character handout at the staged reading, but essentially, Kenji’s immediate family — which was moved to Tule Lake from another camp — consists of Taka (“Atsuto” on the website, and played by Francois Chau at the reading), Kenji’s mother, Miyo (Tamlyn Tomita) and little brother, Koji (“Jushiro” on the site, played by Solomon Huang). There is already some built-in drama because Taka — I couldn’t tell whether he was Kenji’s father or grandfather — disrespects Kenji’s decision to serve the military of the nation that abrogated the civil and constitutional rights of the family, and by extension, all West Coast Japanese Americans. In this economical pilot, we learn about the Takagi family as they try to find a place to live, enroll Koji into elementary school, deal with random prejudice and attempt to return to some sense of normalcy after having their lives disrupted. There are also some questions (outside the murder mystery) that would no doubt be answered in subsequent episodes, presuming the show gets picked up. For example, Kenji is called upon for help by Dan, an old chum/police detective who is Caucasian and, for reasons that would no doubt be answered later, on the outs of the police hierarchy and looking for redemption. Kenji, meantime, needs work and despite having no background as a police detective, is intuitive and smart. Dan needs Kenji’s Japanese language skills to help decipher some clues found at the scene of a gruesome murder of a young Japanese woman. (Maybe he should have been an MIS veteran.) Another detective, Mark, who happens to be half-Chinese and half-white, doesn’t like his fellow detective and really doesn’t like Kenji. We’d no doubt find the reasons for Mark’s enmity and also the solution to the murder later in the series. According to the Discover Nikkei website, “Nisei” was created by “Richard Allen and Eliot John Hagen and developed with the assistance of Koji Steven Sakai and Tim Southam …” The episode was written by Hagen; Sakai is, of course, JANM’s former VP of programs. A staged reading is just that — no frills, just actors reading lines, with some narration. Nevertheless, I found it engaging. It certainly has potential, and I think it was a smart move to make it a genre show (in this case, a mystery/police procedural) that would make a viewer want to stick with these characters and setting they might otherwise not, in order to see it through to the end. After all the hubbub about whitewashing and the lack of roles for Asian American actors and Hollywood’s dearth of stories beyond those involving White Americans and the lack of diversity and inclusivity in American TV and movies, “Nisei” might be a small part of the solution — once again, presuming something real happens with it. “My family went through so much s***,” Tomita said. “It was really hard. It’s about gaman, it’s about resilience, it’s about perseverance, it’s stoic and it’s like, ‘You better go to school and you better learn.’ … It behooves you to have this reading and to be with this small community at this public reading. Unfortunately, there has never been any success to get all the Japanese American creative types — and there are more than we might think — to work together, raise funds, tell (and sell) some of the great Japanese American stories as a continuing commercial venture. It only happens in a one-off, one-at-a-time manner, from before “Picture Bride” to after “Lil Tokyo Reporter.” Could such a venture ever happen? Would that ever happen? It might be nice, but I’m not holding my breath on that one. Should “Nisei” get the nod to go to series (HBO was mentioned as a possible outlet), we just have to hope that “Nisei” is one of those instances that gets it right and provides some much-needed work for actors, writers and directors who are Asian American along the way. It will be fascinating to see what could come from the seed planted at this public reading. Wow. Was this dude tweeting while drunk? It’s discouraging that something like this happens, putting a stain on what should have been a moment of joy for Sato as an individual or Japan as a nation — or just racing fans in general. 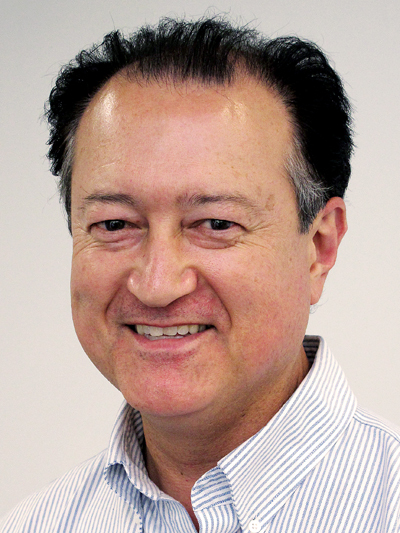 Despite later apologizing, Frei — an award-winning journalist — was fired by The Denver Post for his impolitic expression. Denverite (and former Denver Post employee and colleague of Frei) Gil Asakawa did yeoman’s work via social media disseminating and commenting on the story, even becoming a part of story in follow-ups by other Denver-area media. Kudos to Asakawa, with whom I have to agree that Frei probably shouldn’t have been fired. Reprimanded. Suspended without pay. Compelled to take some sensitivity training classes. Sure to all those. But fired? Frei’s tweet was ill-advised, reprehensible and indicative of some deeper personal issues — but it was his honest, visceral expression, messed up as it was. One could write a small book on why what he wrote was so problematic, but it wasn’t criminal and didn’t advocate violence. Did firing him solve his problem? “Star Trek” vs. “Alien” Dept. : As if that wasn’t enough, also on social media was the fallout to the casting of the latest iteration of the “Star Trek” franchise, “Star Trek: Discovery.” Two of the leads are not only women, one is an Asian (Michelle Yeoh) who speaks with an accent, while the other, Sonequa Martin-Green, is black. There was apparently a rash of hateful comments about the lack of white men in lead roles, with blame going to political correctness, Hollywood’s anti-white male agenda (really?!) and so on. Meantime, over the weekend, I watched “Alien: Covenant” and while I noticed that among all the onscreen acting talent there were no Asians who were part of that spaceship’s crew, it didn’t take away from my appreciation of the movie. I could have led this column with a screed about this and headlined it “Why Does Ridley Scott Hate Asians?” — but I didn’t. I hope at least a pilot episode is made. It might be too much to expect it to become a full fledged network series.